Christian Writer/Reader Connection: A Contest! 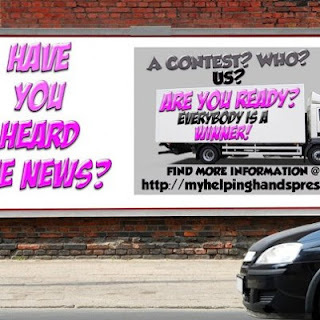 My publisher, Helping Hands Press, is having a great contest! Pop over there and check out the Rafflecopter. Thanks Susan, will check it out! Aha. I love contests! I'm having one on my blog this month, for office supplies! I think you won my first or second office supplies basket, didn't you? You seem to win a lot of prizes on blogs. God's favor on you, that's it! I signed up for the newsletter and the contest, am the newest follower of Helping Hands Press and liked its Facebook page. I'm spent!